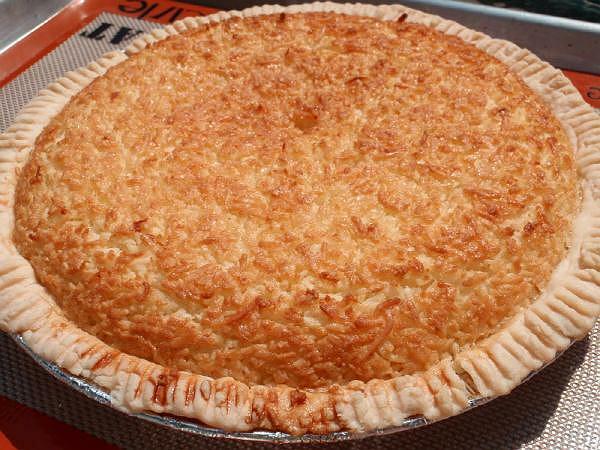 This Coconut Pie recipe is really a very easy pie to make. 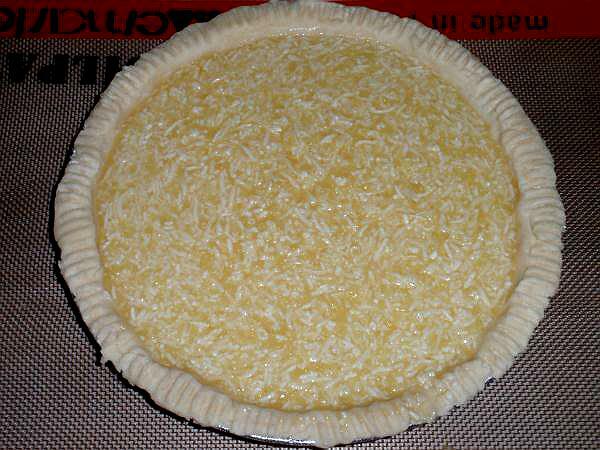 The hardest part is the crust. 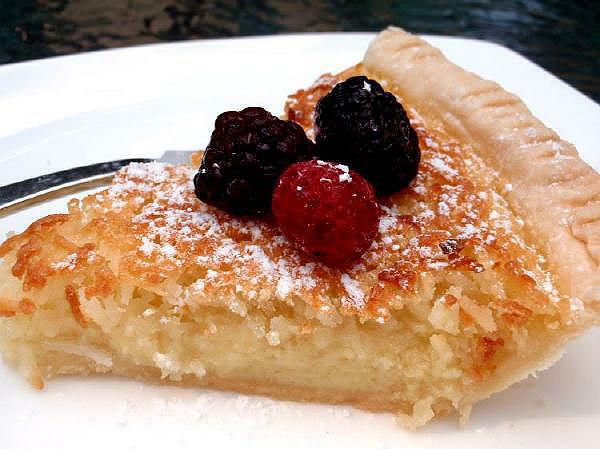 It's makes a very nice presentation when garnished with a little powdered sugar and a few mixed berries. 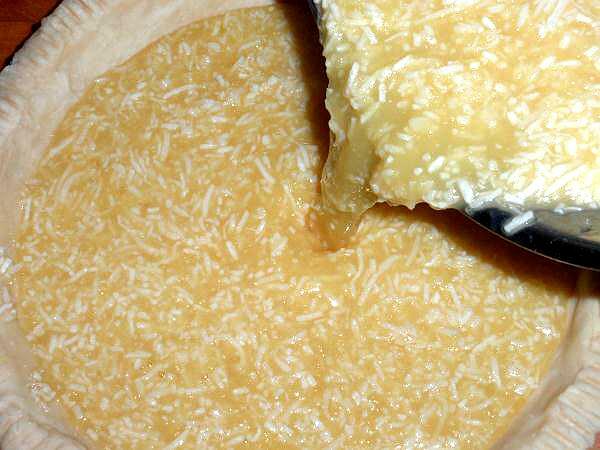 If pie crusts intimidate you, you don't have to make your own crust, you can certainly use one of those already made crusts from the freezer or refrigerator sections of your local grocery store. 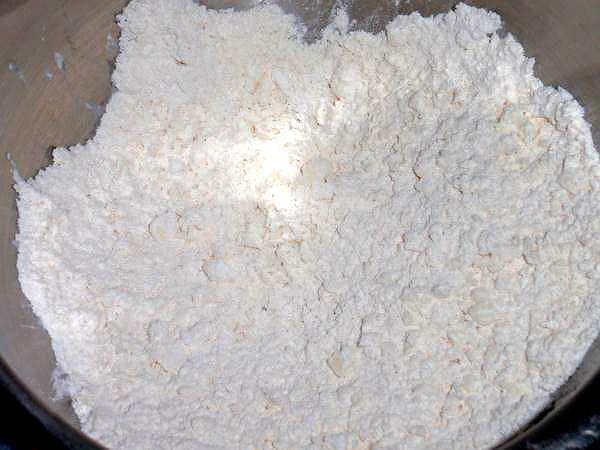 To make the pie crust, whisk together the 1 cup of flour and salt in a medium bowl. 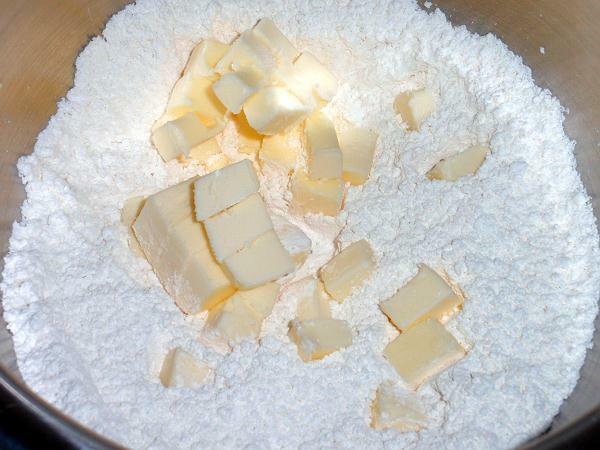 Cut the cold butter into small cubes and add to the flour. 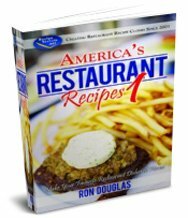 You want the butter to stay cold so try not to handle it any more than necessary. 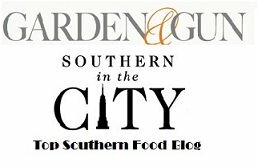 If need be, you can put it back into the fridge or freezer for a little while. 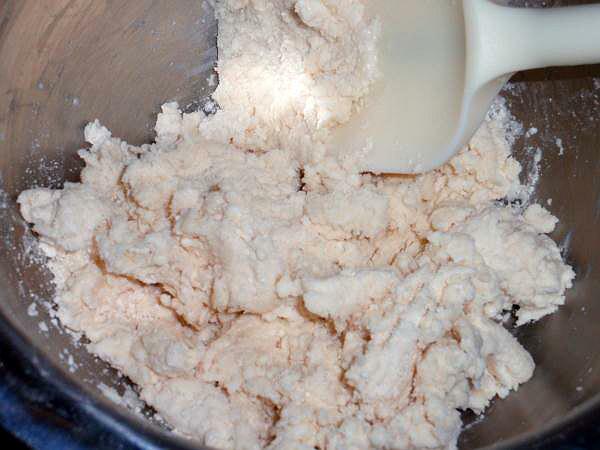 Use a pastry blender, fork or 2 knives to cut the butter into the flour until it resembles small crumbs. 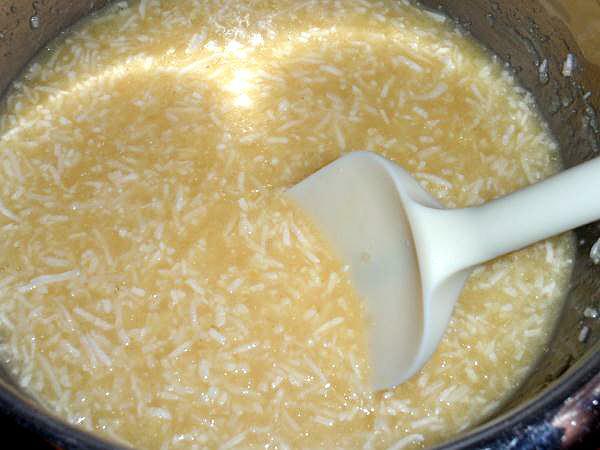 Add just enough COLD water to get the dough to form a ball. 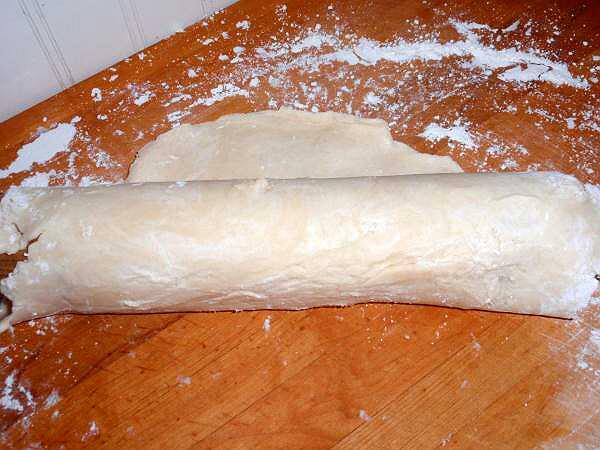 Rub some flour on your rolling pin to keep the dough from sticking. 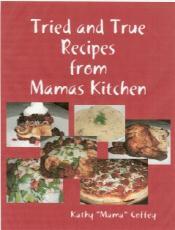 Roll the dough out to where it is about 1-inch larger than a 9-inch pie plate. 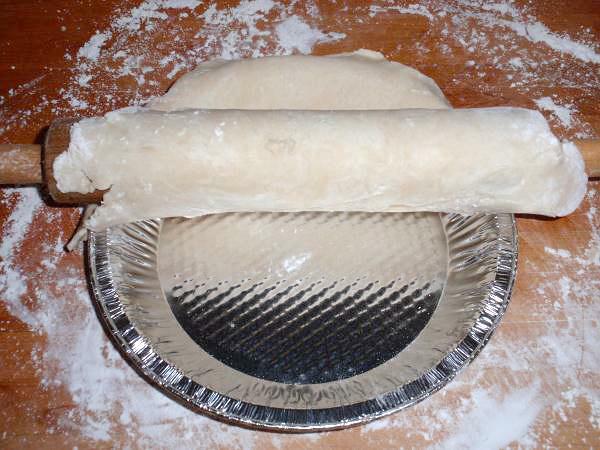 Turn your pie plate upside down on the rolled out dough to check it. 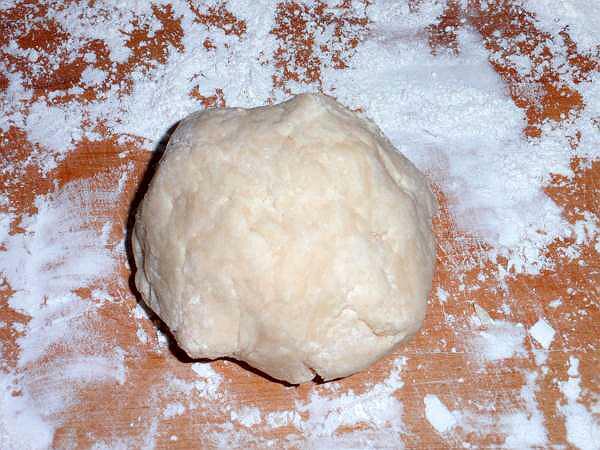 Carefully roll the dough up onto your rolling pin. 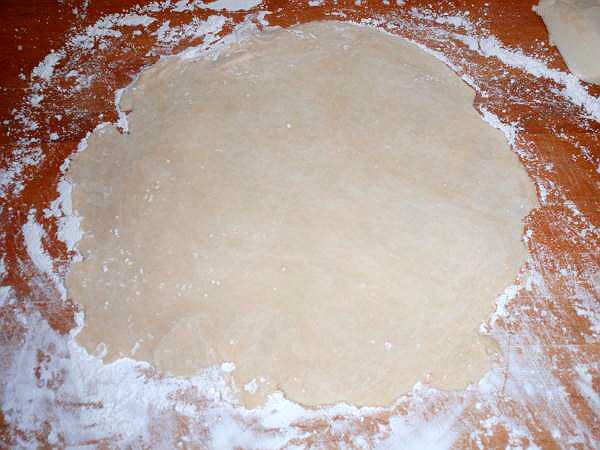 Transfer the dough to your pie plate and unroll it. 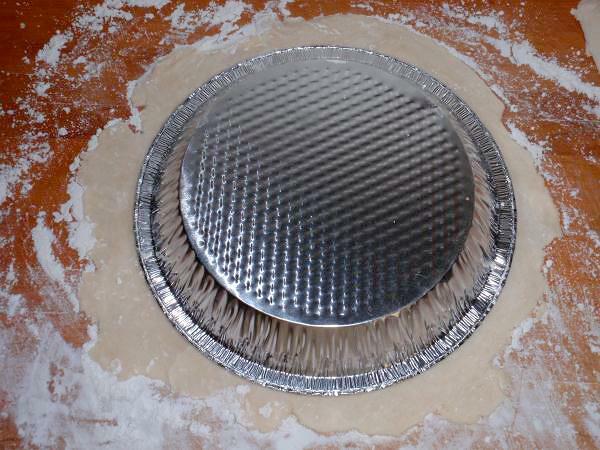 You can trim the edges or you can do like I do and fold the edges up under the dough so that it doesn't stick out past the lip of the pie plate. 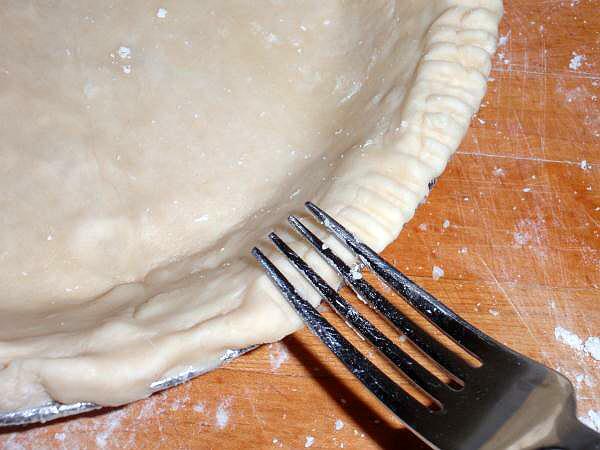 Dip a fork in some flour and press the tines of the fork into the dough going all around the pie. 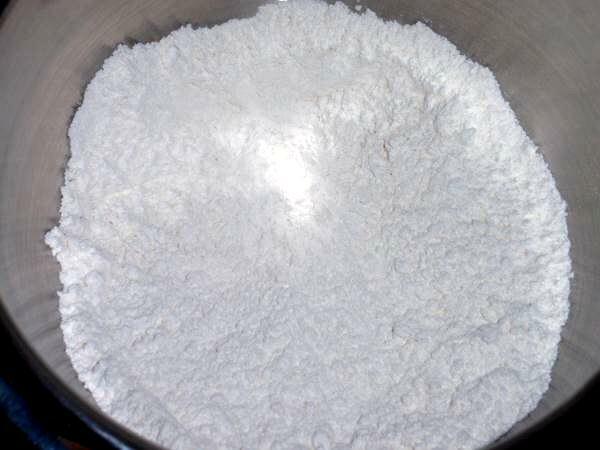 You'll need to dip your fork in the flour fairly often. Set aside. 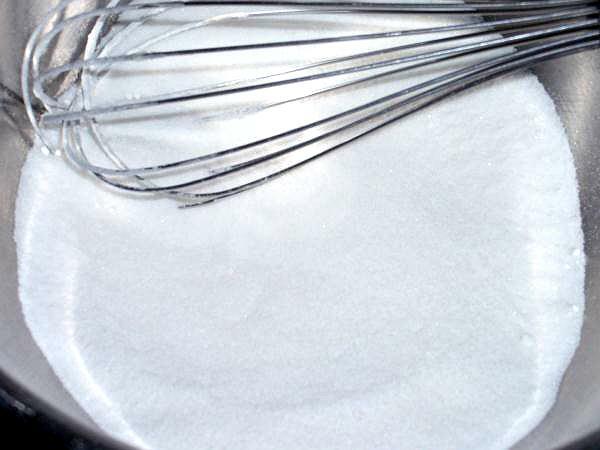 In a large mixing bowl whisk together the flour, sugar and salt. 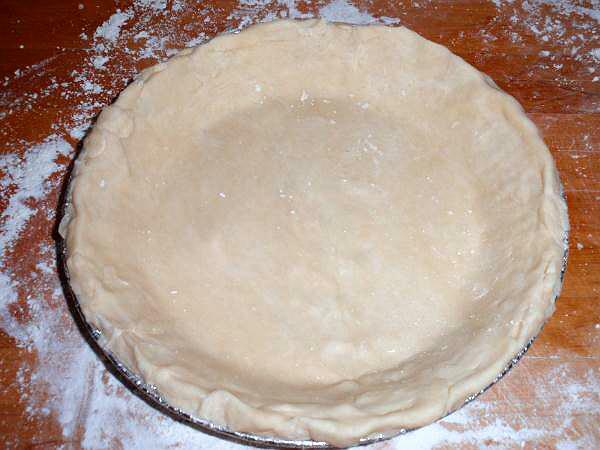 I like to place my pies on a baking sheet so there's no chance of them overflowing in the oven and making a mess. 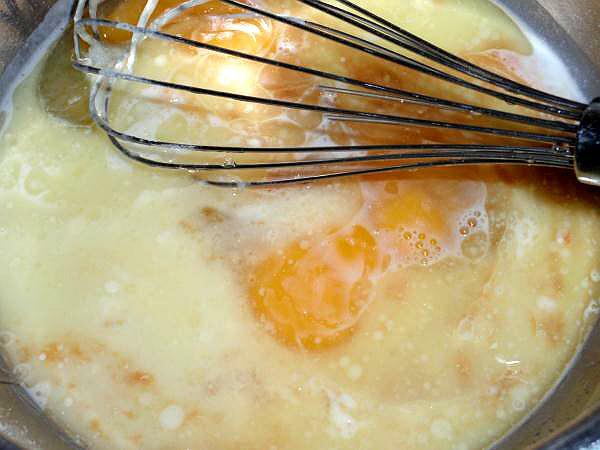 Bake for 40-45 minutes or until a knife inserted halfway between the edge and the center comes out clean. 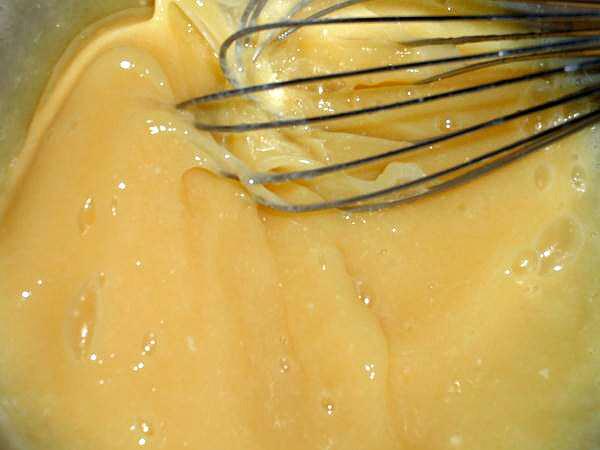 Cool completely before cutting. 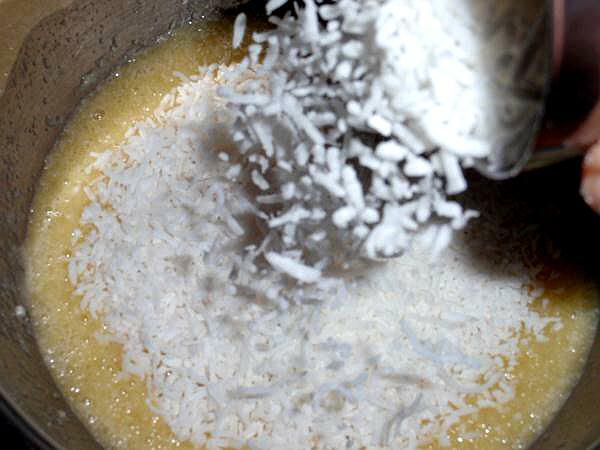 Garnish the coconut pie with berries and powdered sugar if desired.